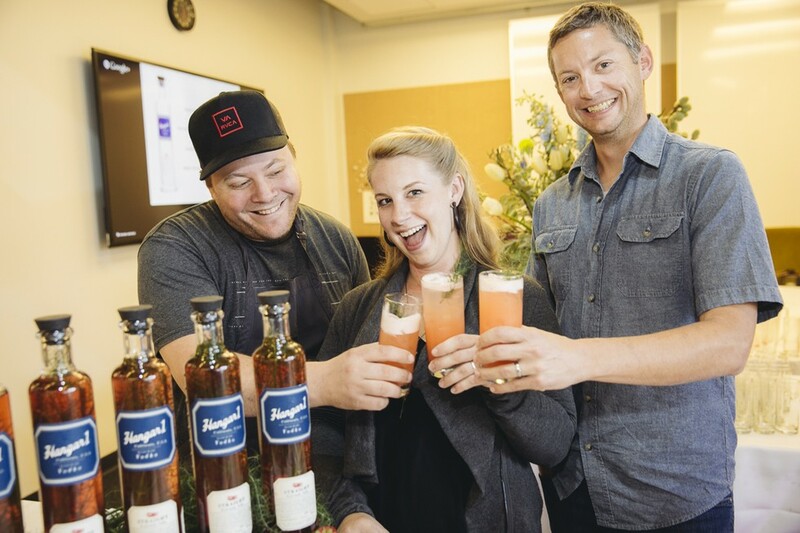 Evan Rich, Caley Shoemaker, and Corey Harrison toasting Rich Table's Hangar 1 "Rich's Wild Summer"
A warm welcome from Pinterest. 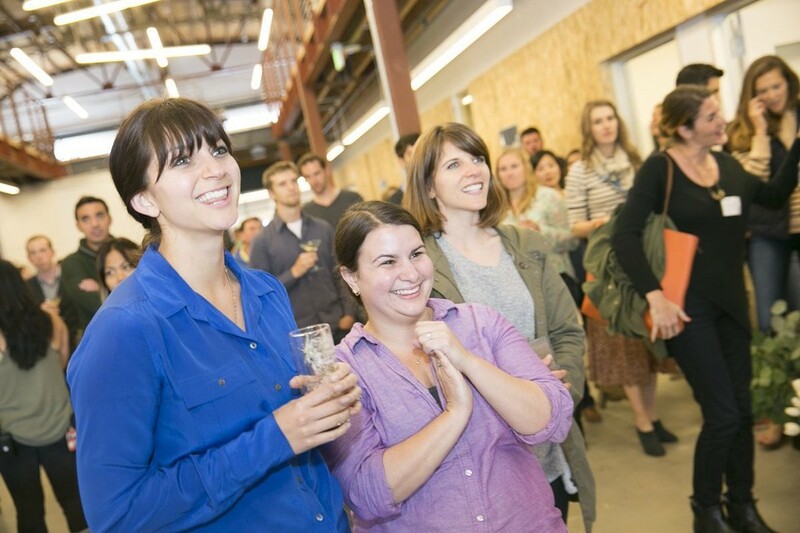 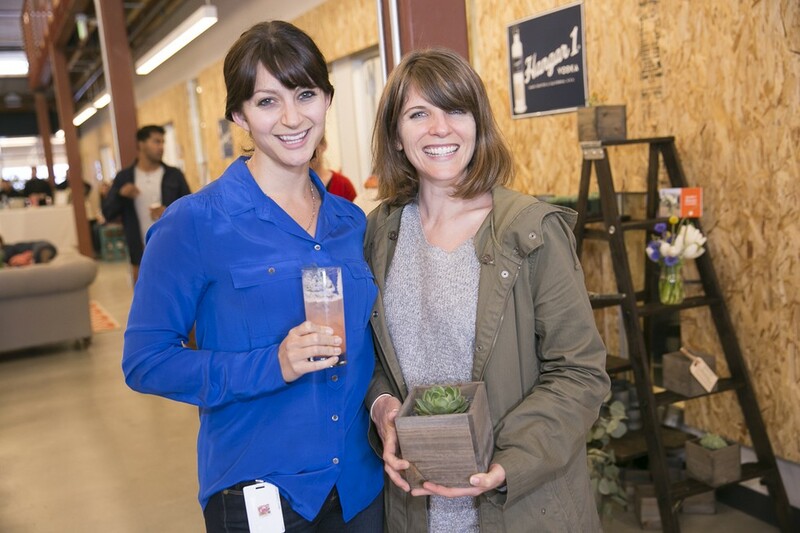 Pinterest employees are a multi-talented bunch! 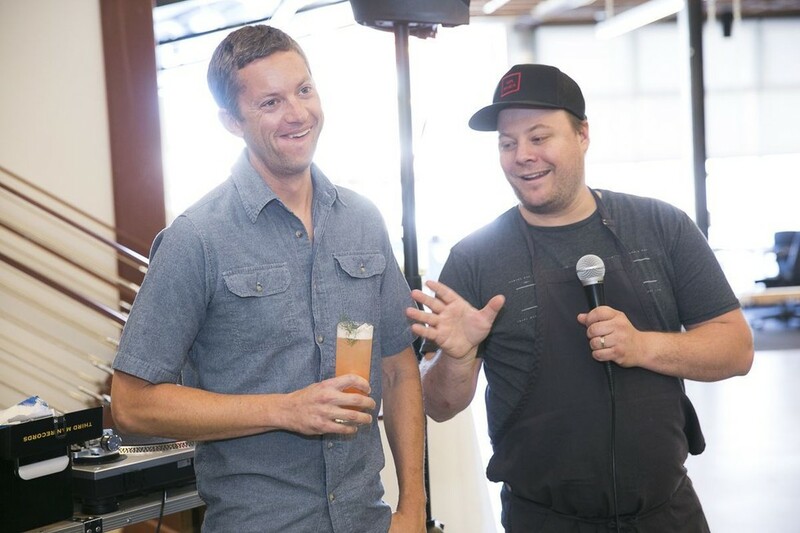 Rich Table's Mixologist Corey Harrison and Head Chef Evan Rich explaining their cocktail inspiration. 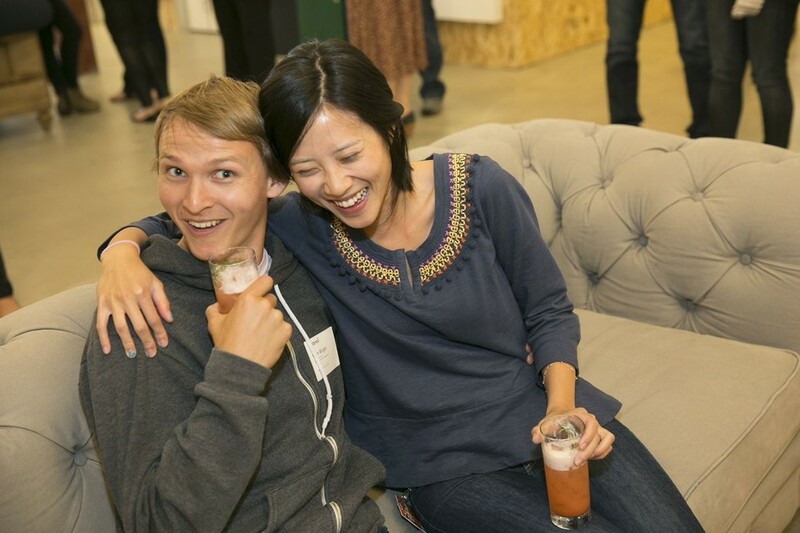 The Pinterest crowd is loving it. 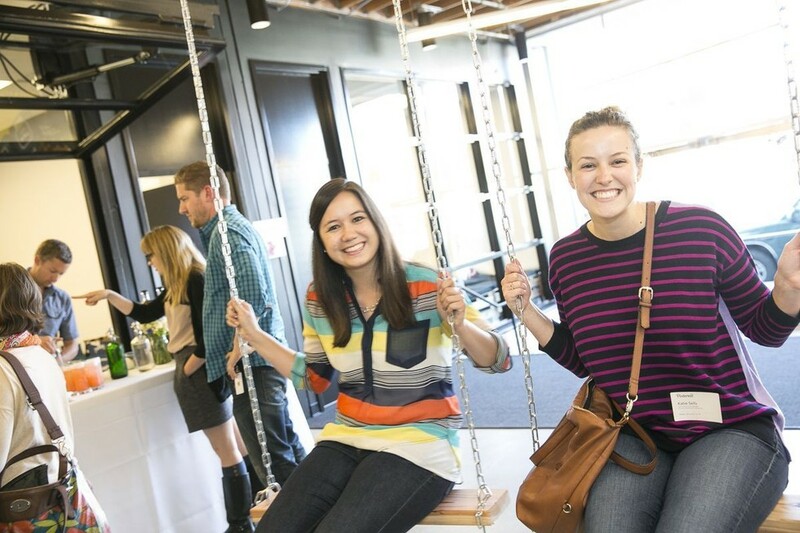 Pinterest employees enjoying thier in-house swing set. 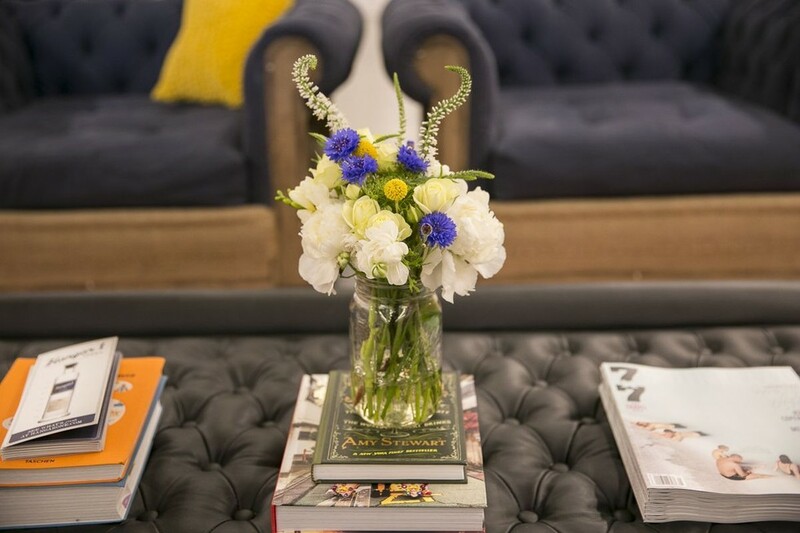 BloomThat flowers complimented the Pinterest office decor nicely. 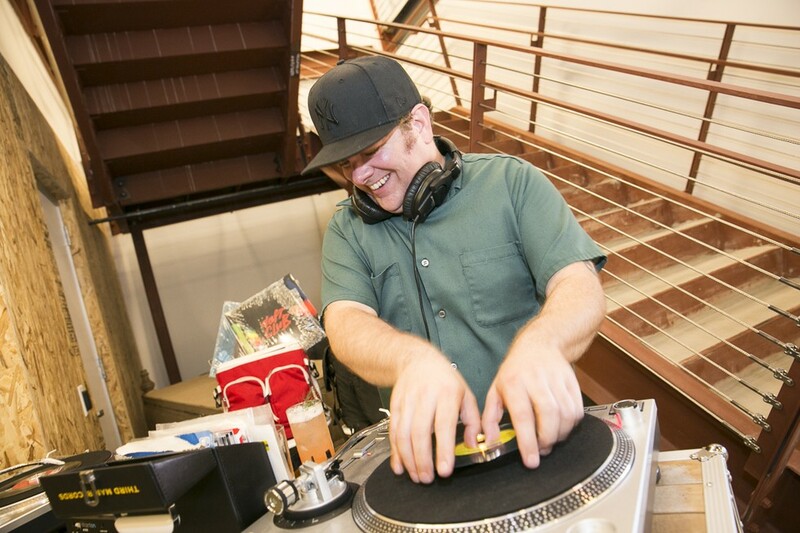 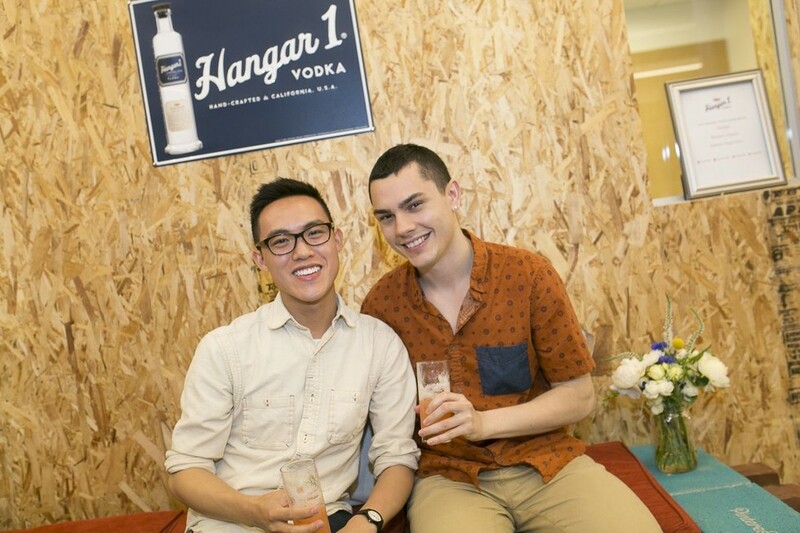 Head chef Evan Rich and mixologist Corey Harrison of Rich Table poured their new Hangar 1 Vodka wild summer cocktail for the very first time last week at Pinterest's housewarming party in celebration of their newly renovated office space. 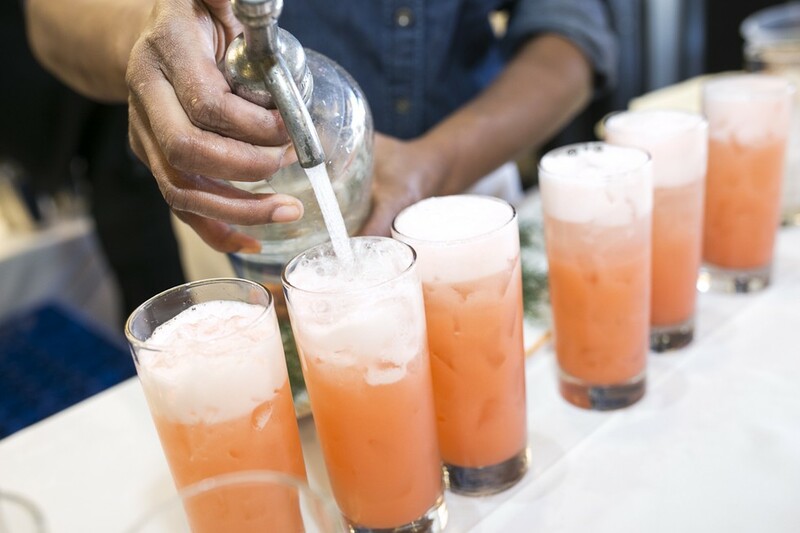 They call it Rich's Wild Summer; made with fresh lemon juice, wild fennel juice, Tempus Fugit Kina L'Avion, and fresh egg white, inspired by Harrison's home in California Wine Country and the products the grow wild throughout the countryside. 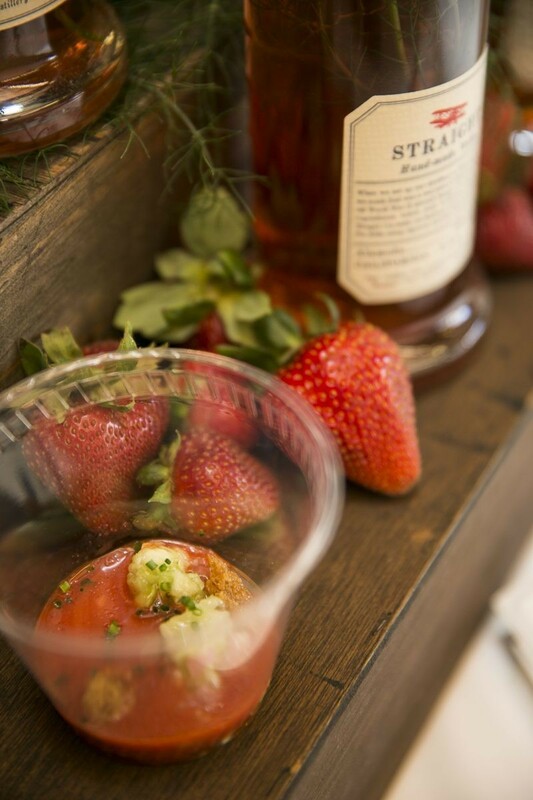 Paired with a fruity strawberry chamomile gazpacho, Rich provided the perfect bites for celebrating the warm San Francisco weather. 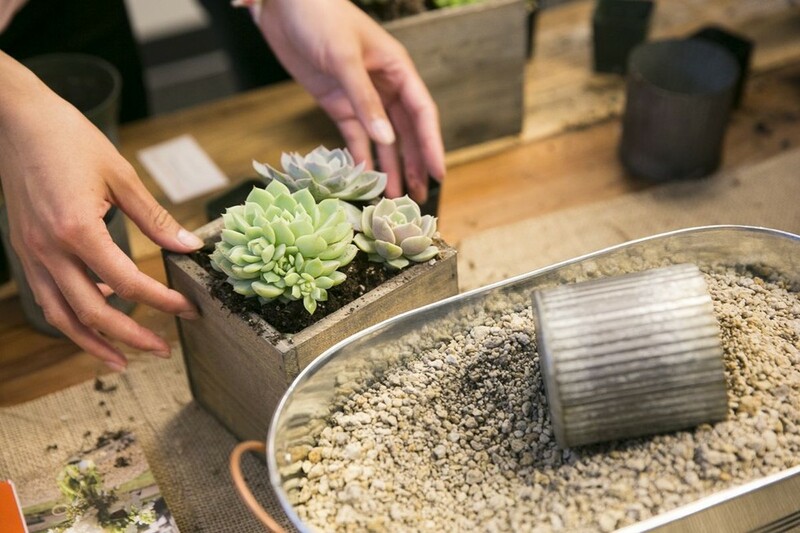 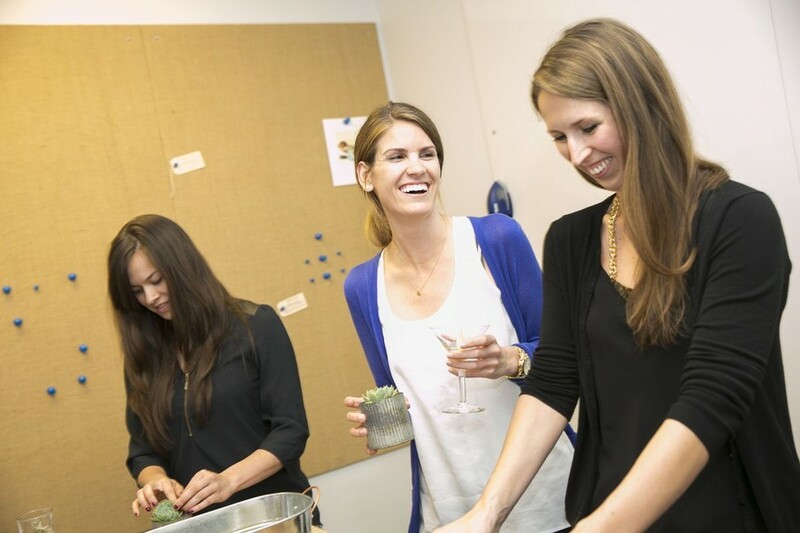 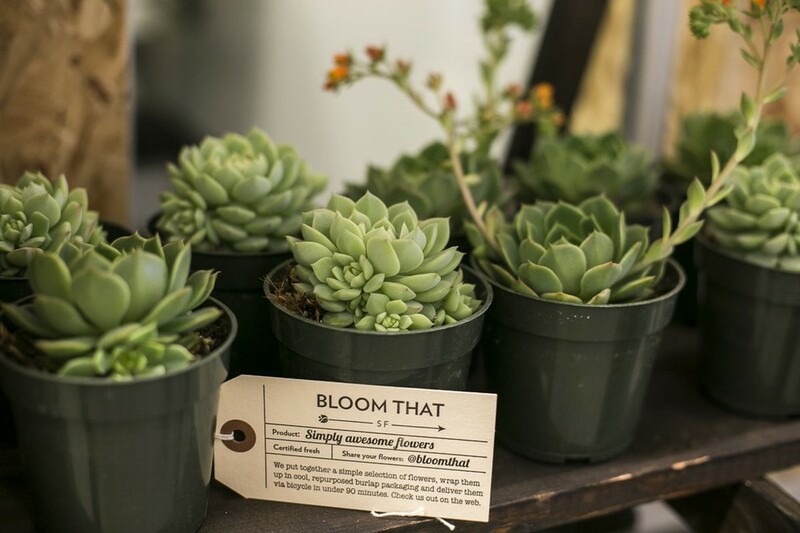 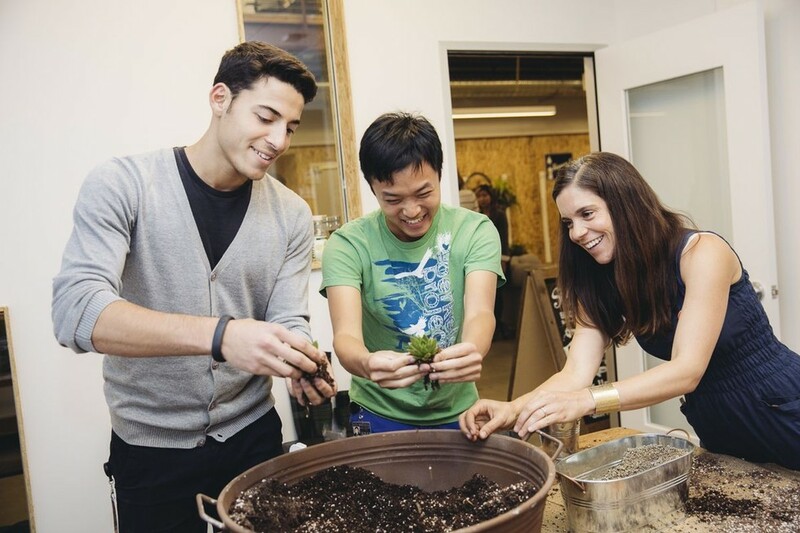 Needless to say, it was a huge hit among Pinterest employees who sipped, munched, and celebrated the summery vibes by constructing their own succulent gardens courtesy of BloomThat. 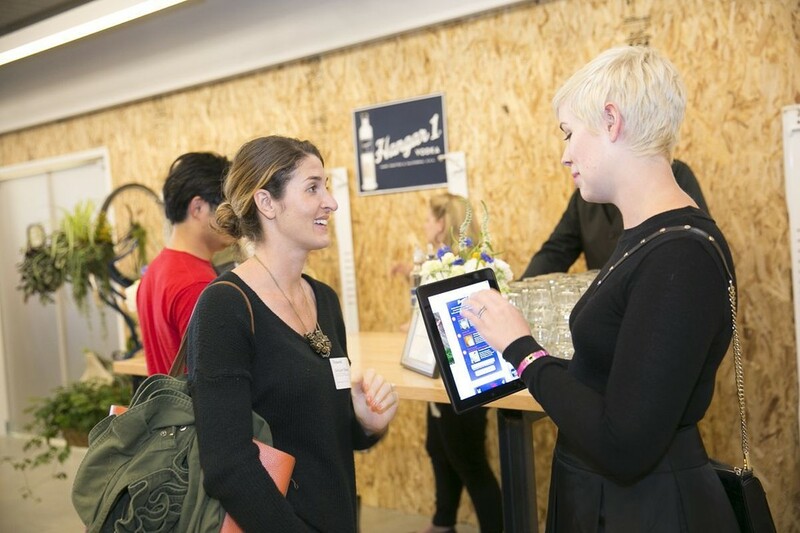 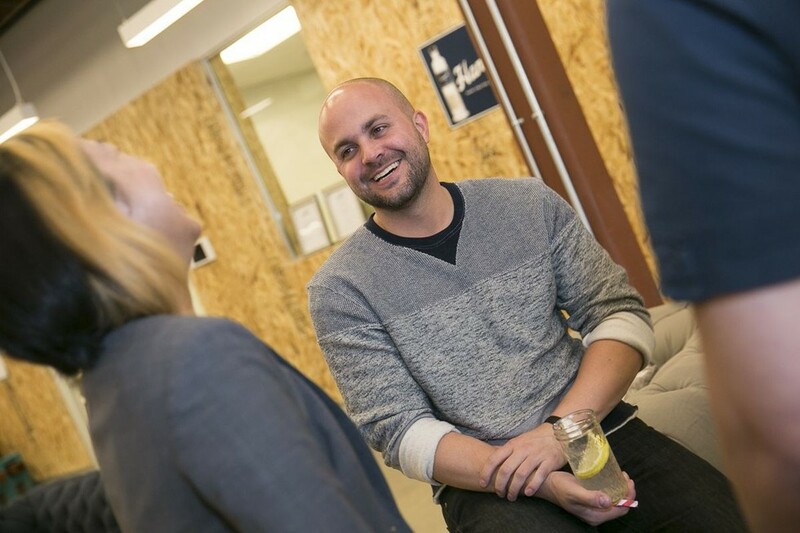 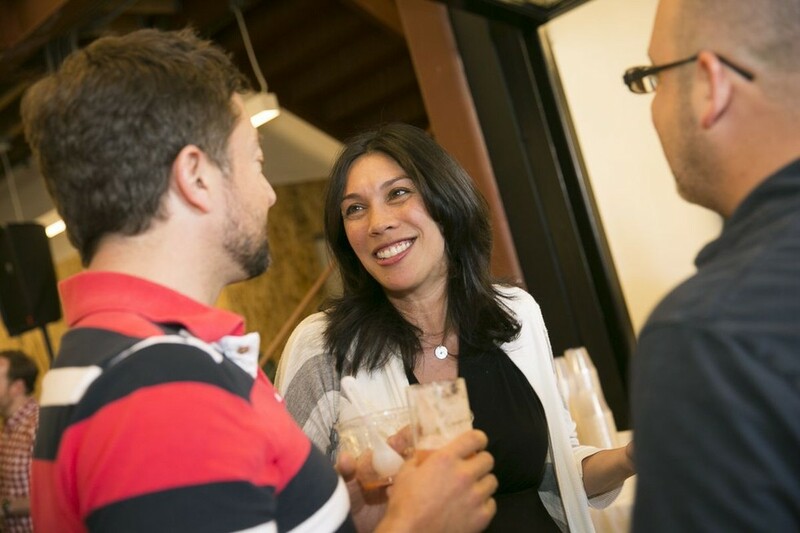 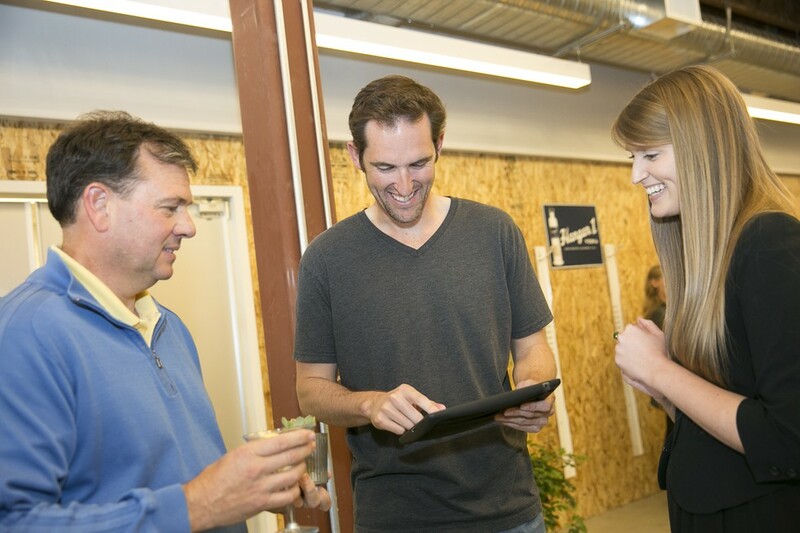 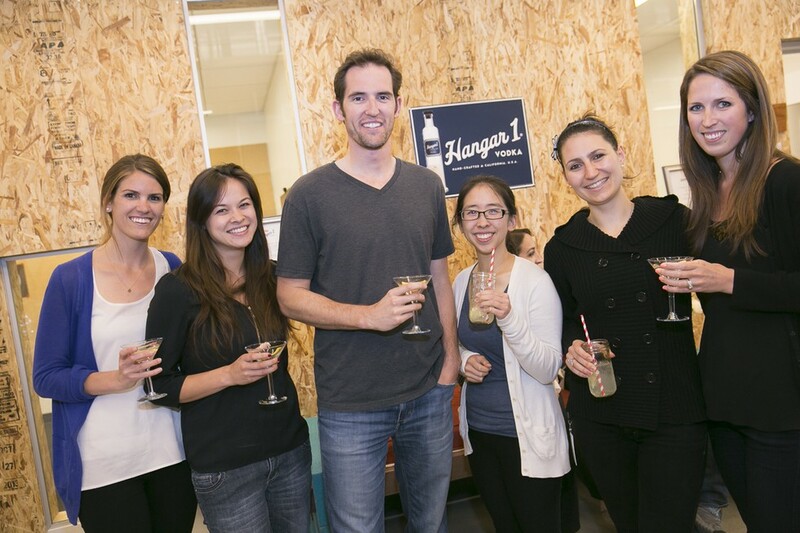 Pinterest was included in our list of Top 25 Bay Area Startups Making a World of Difference list earlier this year, a feat Hangar 1 wanted to recognize in the best way possible. 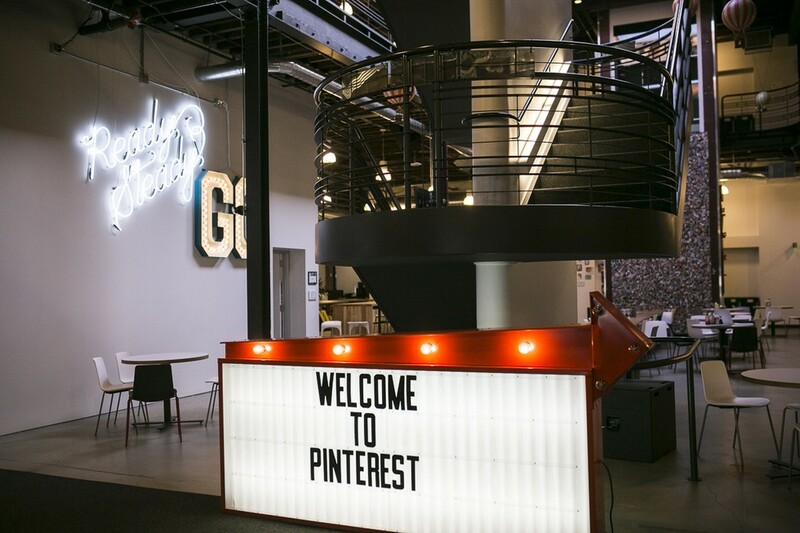 A veteran in the startup world, Pinterest is a prime example of new technology reinventing an age-old concept. 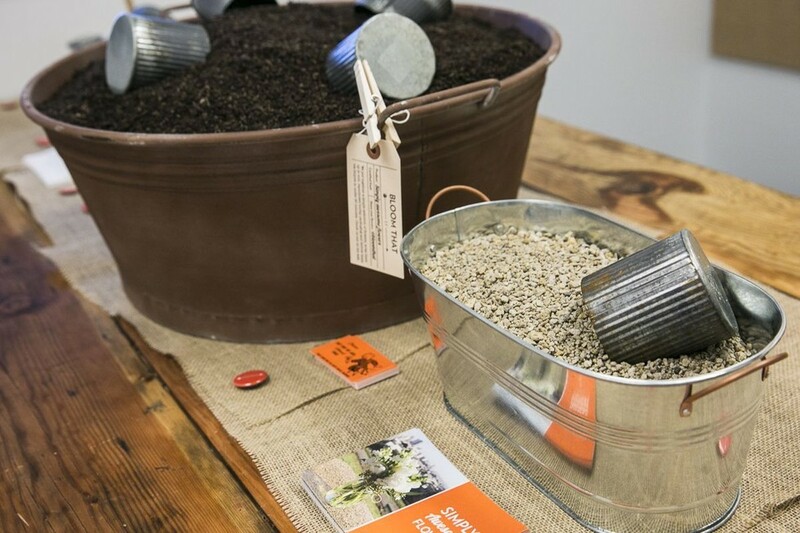 You've probably used them to plan your future nuptials (whether or not you have your mate picked out quite yet) or maybe to find the perfect stuffed peppers recipe. 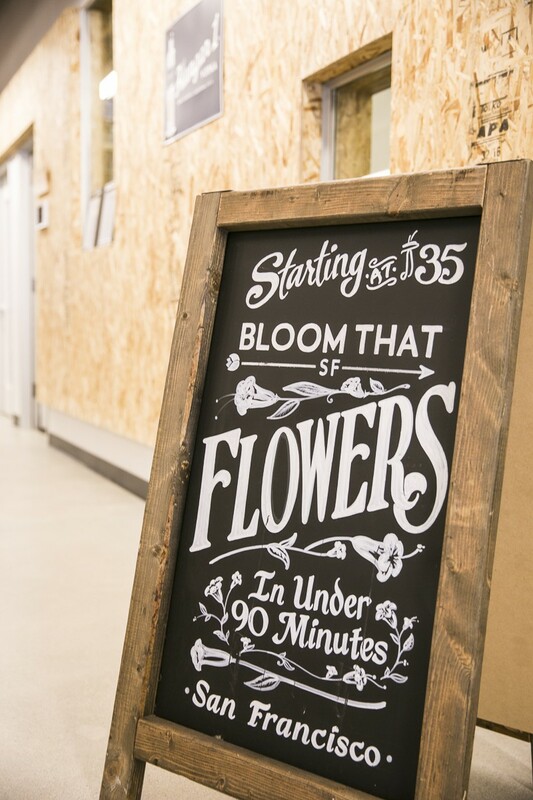 For planners and daydreamers everywhere, this digital space connects people to inspiration for just about every obsession imaginable. 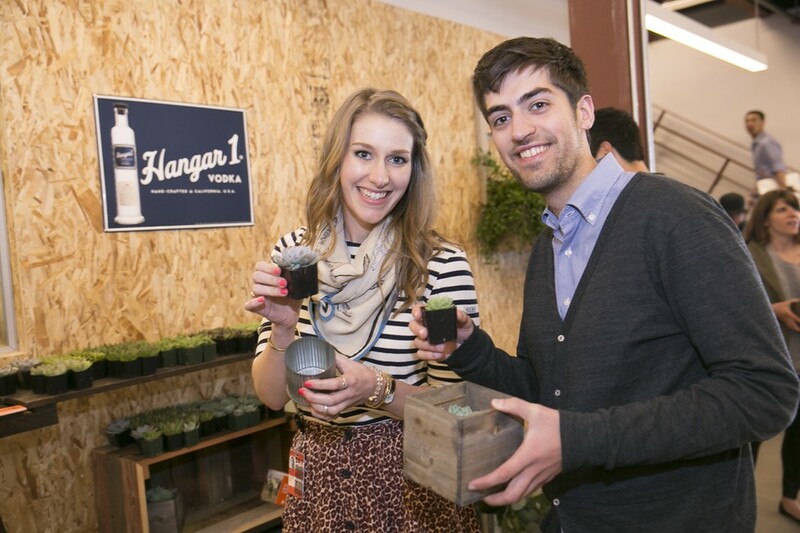 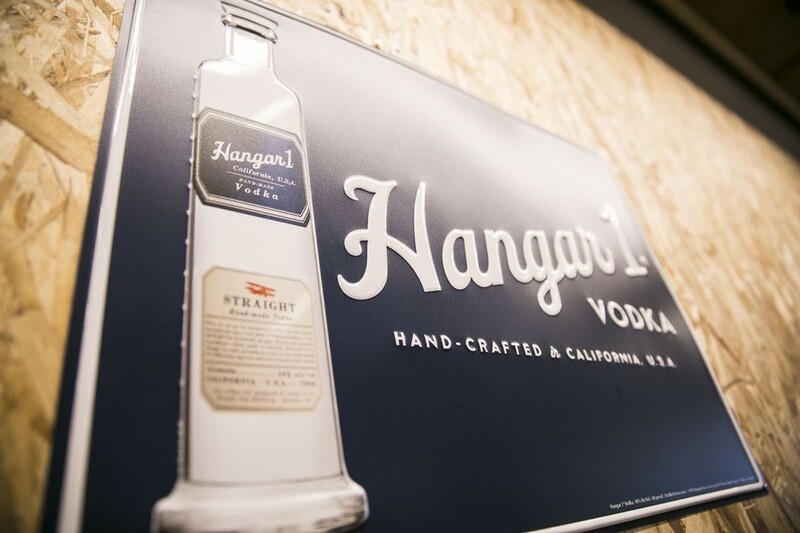 As a famed Bay Area brand itself, Hangar 1 Vodka recognizes the powerful combination of local roots and global dreams. 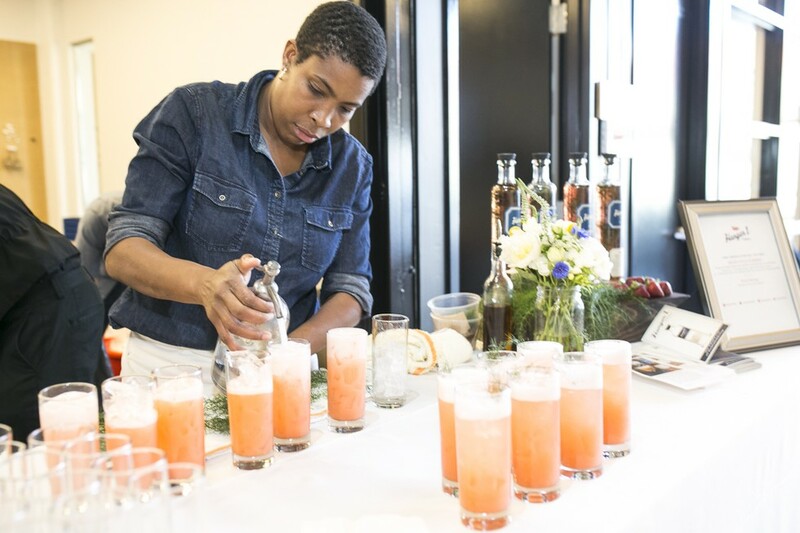 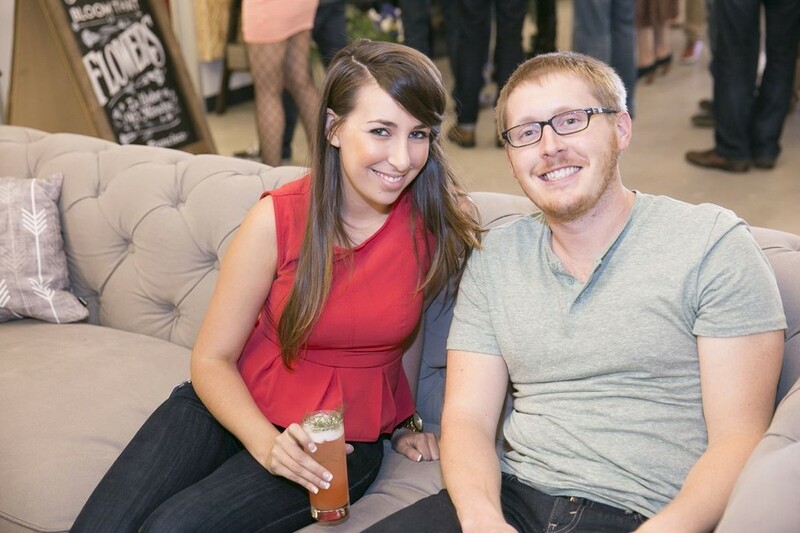 This event series is made possible by a team of top California names including 7x7, Rich Table, Pinterest, Best Beverage Catering, BloomThat, Nikki Ritcher Photography, and of course, Hangar 1 Vodka. 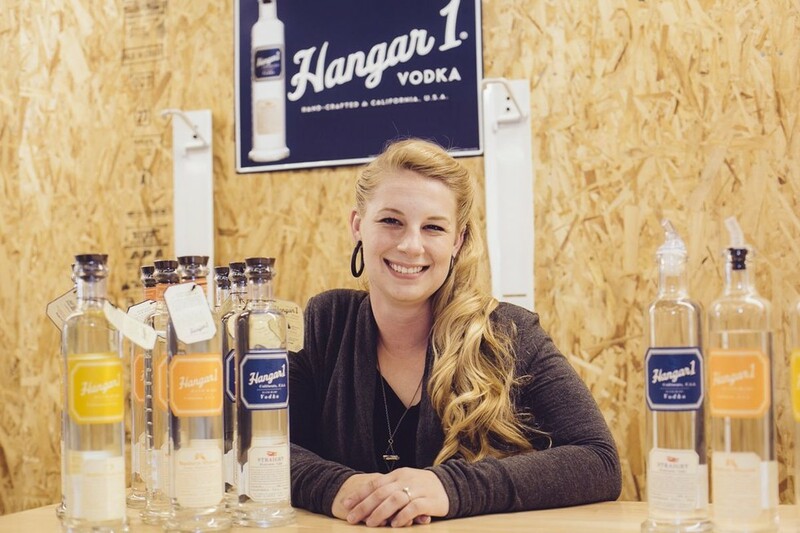 Follow along via the Hangar 1 Vodka channel.